Earlier this year, in April, Amazon launched a localized German Kindle Store with over 650,000 titles and around 25,000 German language offerings. Overall, at least for the time, a strong offering. In addition to this, Amazon opened up Kindle Direct Publishing for the Amazon.de site, and made sure that Direct Publishing submissions to the original Kindle Store would already be in the German store, assuming rights were available to make this possible. Now, three months later, competition is becoming a bit more heated and this might not be enough to stay appealing to the broader audience on its own. The Canada based Kobo eBook store will now be available to the German audience. At launch, they have managed a reported 2.4 million eBooks and over 80,000 German language titles. That’s a lot of books. Along with the store launch, there are also German language Kobo eReader apps for the iPhone, iPad, basically anything with an ‘i’ in front of it, and Android. A Playbook app is on the way. There will even be a German version of the Kobo eReader itself released in August. 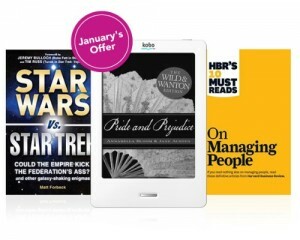 Now, the Kobo business model has always been aimed at a broad international presence. They emphasize open systems, EPUB distribution, and the primacy of the reading experience. Even the Kobo eReader seemed tacked on as almost an afterthought. So far, however, they haven’t really hit the big time. The main problem that they are running into, I think, is their lack of hardware emphasis. Not as a means of profit, of course, but as a way to provide a physical presence to their customers. We know that Amazon isn’t exactly making loads off of individual Kindle sales, but by providing something better than a PC or cell phone for their customers to read on, they gain customer loyalty. If you’re stuck using a phone for your eBooks anyway, it doesn’t matter in practice who you buy from since the apps are all free anyway. The new Kobo eReader suffered something of a setback when its otherwise impressive upgrades from the original Kobo were completely overshadowed by the superior experience and competitive pricing of the new Nook Simple Touch eReader. By comparison, it’s just a better product. So Kobo is given that much more incentive to push their international pursuits since the Kindle presence is limited and the Nook is non-existent. In untouched or underrepresented eBook markets, the Kobo store can stand on its own merits and try to build up a hardware independent following, at least in theory. The one obstacle I see, at least right this minute, is the lack of eReader offering at store launch. If you’re going to have a localized device, great! It sets you that much further apart from the Kindle. Don’t expect to launch the store now and have people stay excited about it for a month while they wait for the gadget. If they can keep the buzz going, great, but it’s going to be a difficult task. As for the future of the Kobo? They are currently planning similar store launches in Spain, France, Italy, and Holland, to name a few. While I might personally prefer other offerings available in America, possibly because I speak English primarily and don’t have to pay fees to import things that don’t always even work in my country, there is little wrong with the Kobo and anything that builds up the worldwide eBook marketplace will just help things along for everybody. 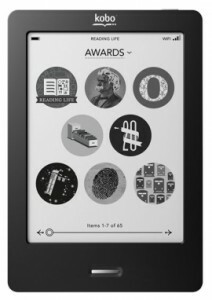 Kobo, the e-reader that Borders has partnered with, doesn’t have the successful reputation that the Kindle and Nook have, but it does have an advantage on the international scene. The e-reader has had a global focus from the beginning. This would be a great niche to excel in. Amazon (NASDAQ: AMZN) has a library of about 25, 000 German titles, but Kobo has launched an e-book store that boasts a whopping 80,000 German titles. I was surprised to find that Germany has the 2nd largest e-book market in the world. The United States is the first. This is a competition to watch because, in order to succeed on a global scale, an e-reader needs to have a robust collection of digital material available. Amazon is certainly able to do this. They just need to establish good relationships with foreign authors and publishers. Here is some healthy competition giving Amazon a wake up call at another angle. In the past, I’ve noticed a lot of reviewers from other countries have been frustrated with the restrictions on various Kindle products because they’re not accessible. Downloading books outside of the US is pretty costly. I’ve always associated Kobo with the Borders book chain. Borders is currently being threatened by liquidators and will most likely flop here soon. When I saw this, I wondered, well what about Kobo? Turns out, Kobo is a completely separate entity than Borders and is a financially secure, Canadian based company. So, nothing will be lost if Borders does go down. 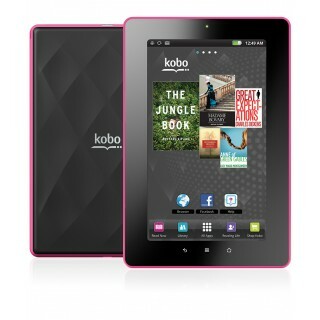 Kobo’s newest e-reader, the Kobo Touch, along with the Nook Touch both have an edge that the Kindle doesn’t have…yet. But, that is about to change. Good to see these e-readers try to outrank each other and get better and better. The price drops certainly don’t hurt either! What I’d really like to see is a global collaboration of sorts. Access to books shouldn’t be restricted by travel. That cuts down the portability of an e-reader. Technology has connected society on a global scale. It’d be cool if everyone could have access to a diverse collection of books from different languages. As of this morning, Monday the 18th of July, it seems pretty much inevitable that Borders will no longer be a presence in the American retail space soon. Their failure to compete with Barnes & Noble and Amazon.com, especially with regard to the Kindle and Nook eReaders, led the company to bankruptcy earlier this year. At this time, Borders Group employs over 11,000 people in over 400 stores nationwide. At this point, bidding for the company has passed and there seems to be little hope for recovery for America’s second largest book retailer. While earlier this month a buyer had seemingly been found for the troubled company, creditors have rejected the bid based on the possibility that the new owner would be able to liquidate the company after purchase. Unable to find common ground on that topic, and having no other serious bids, liquidation of what is left of Borders seems to be a sure thing. Overall, this would seem to be a story about a failure to adapt to a changing marketplace. Even before the eBook revolution, digital distribution had become a major, and possibly the major, means of music acquisition for many consumers. Hundreds of Borders Superstores around the country still kept, and still keep, whole floors of CDs collecting dust. When it came time to jump into eReading, Borders was late to the game and didn’t really manage to do anything to set themselves apart. Their own eBook store, built in 2008 after breaking away from an affiliation with Amazon, was weak to begin with and eventually ended up being replaced outright by Canadian partner Kobo. While they did make a splash as the first company to being a sub-$150 eReader to America by way of the previously mentioned Kobo partnership, no real effort was made to produce or even settle on a single product. The decline of the company was not abrupt. The last time Borders turned a profit was back in 2006. Still, many will mourn the death of yet another major brick & mortar book retailer as the convenience and lack of overhead that sites like Amazon.com provide make the local bookstore less profitable and less common. Should things go the way they look to be over the next several days, Barnes & Noble may well be the last major bookseller with a nationwide physical presence. All of this may be good news for Amazon as they become that much more essential for the avid reader. Without a local Borders store, many consumers will be forced to turn to the internet to make their book purchases. It will even likely have some small impact on the sales of Kindle eReaders as the ease of acquisition for less prominent eReading devices, previously sold to varying degrees in participating Borders stores, drops off. Some even wonder whether this might not hasten the decline of the printed book, since it makes the impulsive browsing experience that much less tactile. If one is forced to buy something that can’t be held and inspected ahead of time, it might be better to go for the option with instant delivery and no risk of damage in transit, right?